Let your lips speak volumes. Indulge in colour-intense lipstick with a highly pigmented formula, available in a choice of flawless finishes, from creamy matte to iridescent finishes. 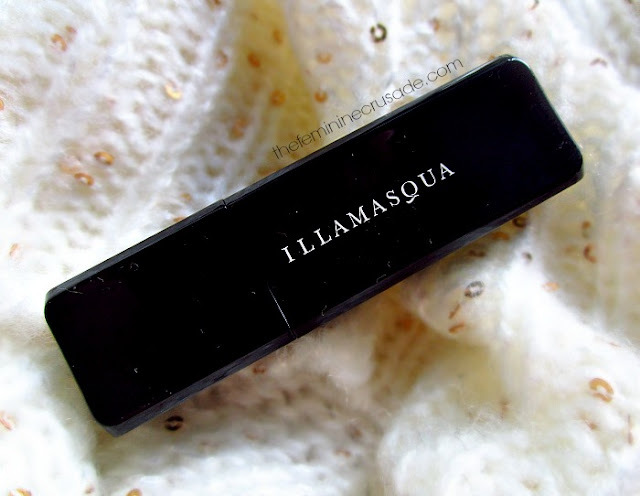 Illamasqua Lipstick glides on smoothly and doesn't give up without a fight for the perfect all-night pout. A must have for professional make-up artists, and those who want to make a statement. 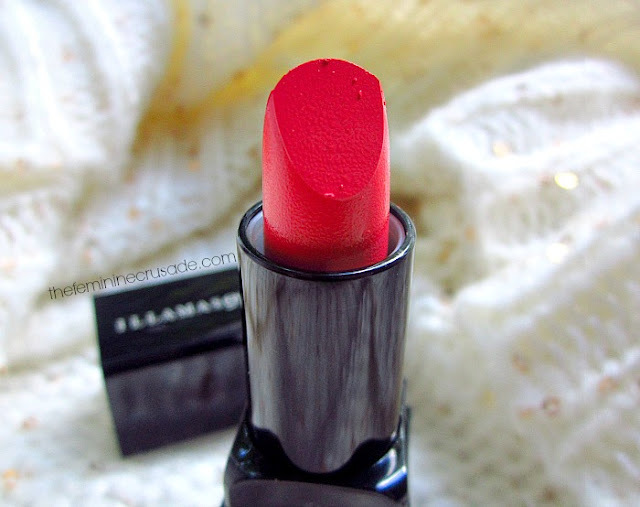 Illamasqua has a total of 33 lipstick shades, which are mostly matte finishes. Each lipstick contains 4g of product and comes in a very elegant, sleek black tube case. 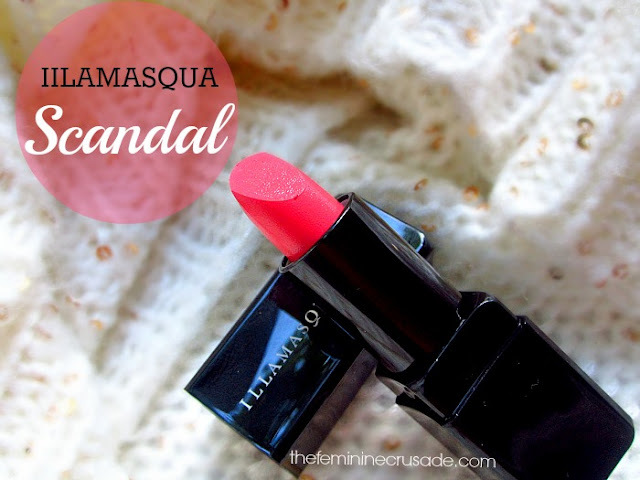 If you remember my tiny Illamasqua haul, one of my half-priced purchases was this Illamasqua Lipstick in Scandal. 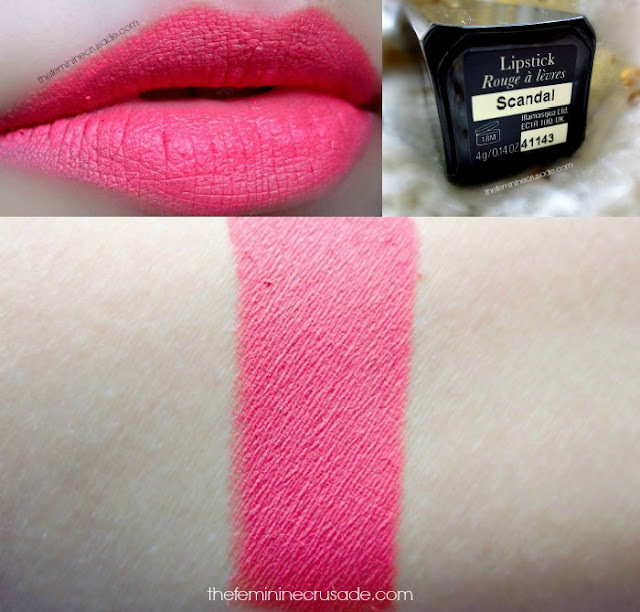 The swatch on the website is very misleading; however, as it describes the shade is a beautiful ‘warm coral pink’. 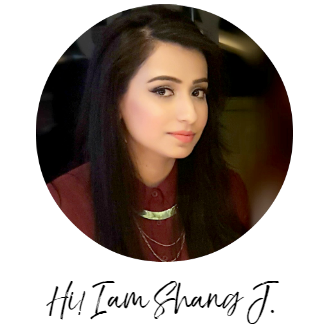 It is a pigmented matte finish. I picked this one because after reading different reviews I found it less drying than other mattes. And I was right! Oh boy, the finish is amazing, matte yet creamy, gliding smoothly, very pigmented and giving full coverage. It does not appear as patchy as absolute matte finishes do. I can’t tell you how stunning this colour is, I just can’t get over its amazing colour payoff and lasting power of 8 hours without eating or drinking. If you have very dry lips, apply it over a lip balm but definitely, definitely give this baby a try. Scandal brightens my whole complexion. It is one of those shades which makes people stop to ask its name. I have fallen head over heels in love with this shade. And imagine my joy that I got this beauty for only 10 EUR. Teehee. 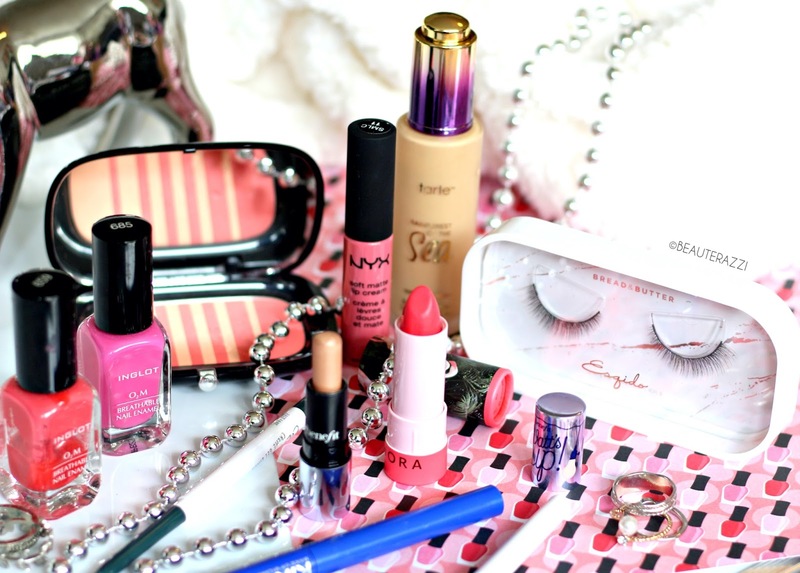 A gorgeous, super gorgeous, highly pigmented coral pink that has one of best matte finishes ever.